Two needle knit baby booties patterns are the solution for new knitters who might be intimidated by circular or double pointed needles. 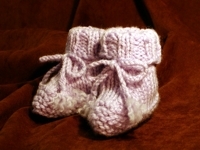 Baby bootie knitting patterns the traditional way is to use double pointed needles or circular needles. Some knitters prefer this way because of the seamless look and an experienced knitter would not find this difficult. But a new knitter would be challenged in the beginning by these methods. 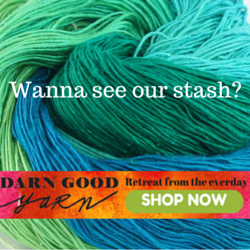 A Two Needle method is the answer for new knitters. It is knitting the bootie pattern flat then sewing the seam in the back. It produces a beautiful bootie and the seam is virtually invisible. And handling two needles is much easier. The whole idea is accomplished by what you do with the stitches on the two needles. You work them in patterns. The following two videos give you the basic idea of this method. Precious little bootie pattern, FREE, knit on two needles. And there are two how to vidoes to help you with the pattern. A wonderful way to get your feet wet with knitting baby booties. Click Here to get this pattern. This video shows the construction of a baby bootie pattern, knitted with straight knitting needles. You do not need to know how to “knit in the round” in order to make this pattern! 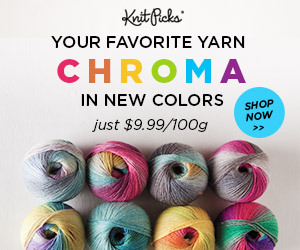 It’s an excellent project for beginner knitters. These very adorable little booties are from the BBC site. They tell you everything you need and the entire pattern. These are very doable and on Two needles! Go Here for the pattern. 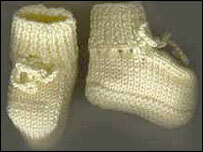 To make two needle knit baby booties patterns , you’ll need knitting needles , yarn , a yarn needle and/or crochet hook . By watching the three videos above you will successfully knit a pair of baby booties on two needles and you’ll do great. Purl knit two together (P/k2tog) is one way of the methods to decrease by one stitch in your pattern. Another decrease used is the slip 1, purl knit 1, pass slipped stitch over, (S1,p/k1,psso) The above pattern calls for these stitches. Why the two different kinds of decreases? Each one slants your work in a different direction, so by repeating the same decrease on one side and the other decrease on the opposing side, your pattern develops a V shape that is needed for the shaping of the bootie. You will see the shape take hold as you continue to knit and decrease. Here are videos to help you learn these stitches. This was very helpful, but I wish you had taken the time to show the yarn-over steps. I was doing great until those two rows. They don’t show under the cuff, but I could use help with that part. thanks! Excellent Excellent!Thank you for your display!reading the pattern made it complicated but this made it all easy. so fast.. im just a beginner..
great video, can’t wait to try making some booties! !